A Beautiful Memory specializes in nothing but weddings, weddings and weddings. 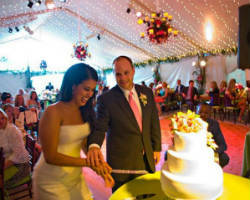 Its proprietor, Kathy Vaughan is known for crafting delicate lovely wedding parties, since 1994. Her customers come from different religious and cultural backgrounds, personalities and wishes. That is why A Beautiful Memory makes it sure that every wedding held is tailored to perfection, according to the couple’s choice of an inimitable wedding. More, Kathy offers to arrange meetings and weekend events related to the big day. Where, the team guides bride and grooms together with the whole family during a brunch, golf tournament, spa day, white water rafting trip, rehearsal dinners and other social gatherings at Colorado. Find a truly magnificent setting for your wedding held by Save the Date Events. The group started in 2005 with Debbie Orwa, as a leader. She works with Amber Fairbanks, Gabriella Greenleaf and Brynn Swanson, the event designers. And, because they care so much for their clients, they take great delight on earning the best knowledge in planning companies and personal parties. Save the Date Events also plans for other types of events, aside from weddings, with indoor or outdoor venues. Where, a full service wedding may take more than 100 hours of preparation and hires 20+ vendors. As a result, Save the Date Events develops longer relationships with past clients. The team believes that integrity is a secret tool of the business. 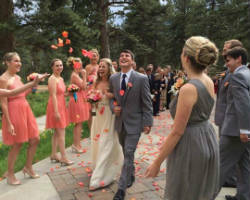 To date, Save the Date Events has already served greater than 200 weddings and social events in Colorado. Style Me Pretty's Little Black Book Member in 2014 and A Hall of Famer at The Knot's Best of Weddings. Trulife Studios is a certified Denver wedding planners group and event planning studio for celebrity inspired occasions. One good thing about it is that it lets customers use Trulife Studios as free. The local coordinator has a hand pick on the many wedding vendors at Denver, today. Wedding professionals at Trulife Studios range from the likes of Devo Photography, Lori Kennedy (photojournalist,) Heather Gardner Weddings, AK Studio, Party Singers and other elite vendors of the year. The team is there for you at every step of the big day. From consultations, rehearsals and the actual celebration, these professional groups offer their top notch wedding services. Find more affordable ways to customize your wedding day only at Trulife Studios! 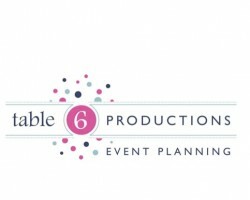 Wedding and event planners with personality! 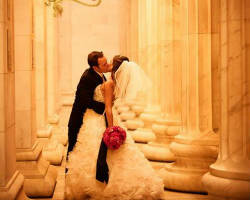 Jewell Event Design specializes in weddings and special events. Leanne Jewell Cofrin has been in the wedding and event industry in Colorado since 1999 and would love to share her immense knowledge with you. 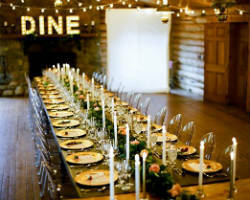 Leanne and her team are passionate and create memorable, classy, fun and elegant weddings and events. The attention to detail and fun, relaxed planning process will leave you with a feeling of joy as you enjoy all of the moments of your wedding planning. You relax...we'll handle your mom. Visit our website and schedule your complimentary consultation today! Stacy and her team are highly praised for their fresh approach to wedding planning at Alexan Events. The company is known to organize all types of celebrations. These young owners bear essential backgrounds in floral art works and formal design schooling. That is why each wedding by Alexan Events becomes a truly masterpiece in one spectacular party. Their role as a wedding coordinator goes beyond what they are expected of and makes sure there are no worries seen up to the last day. Two (2) levels of service are found at the site: Full Planning and Design together with Month of Coordination and Design. Alexan Events specializes in the different wedding trends in color, spring collections, floral, fashion, style, decor, inspirations and etiquette across Denver wedding planners. Bliss Elevated builds creative, elegant, professional designs in weddings. Meanwhile, Julie and her team are busily adding magical touches to help the bride and groom on this extra special occasion. The team started in 2006 and they are today's most awarded wedding planner at Denver, CO. From rehearsals, wedding and entire experience, Bliss supports a hand for a full list of fun wedding traditions. The Bliss Signature Package is found with a roll of wedding amenities for the ultimate planning experience. And, additional services may cover gift bags, free tastings, vendor consultations, rentals, rehearsal dinner coordination, decors and loads more. Get the now in affordable prices of the industry.